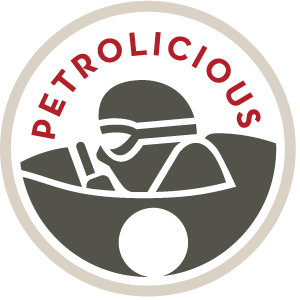 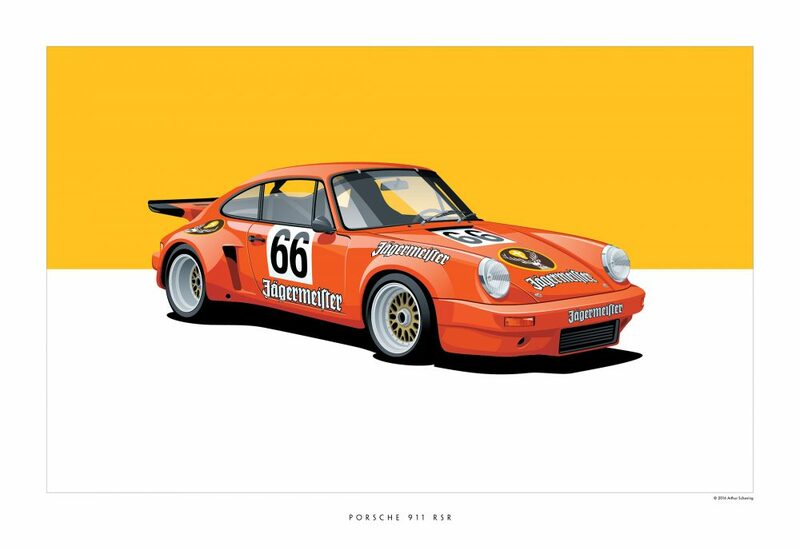 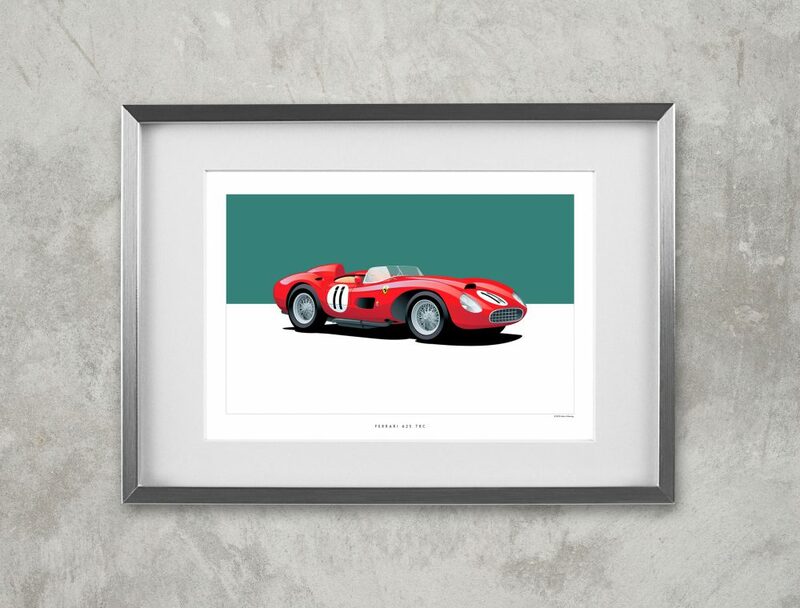 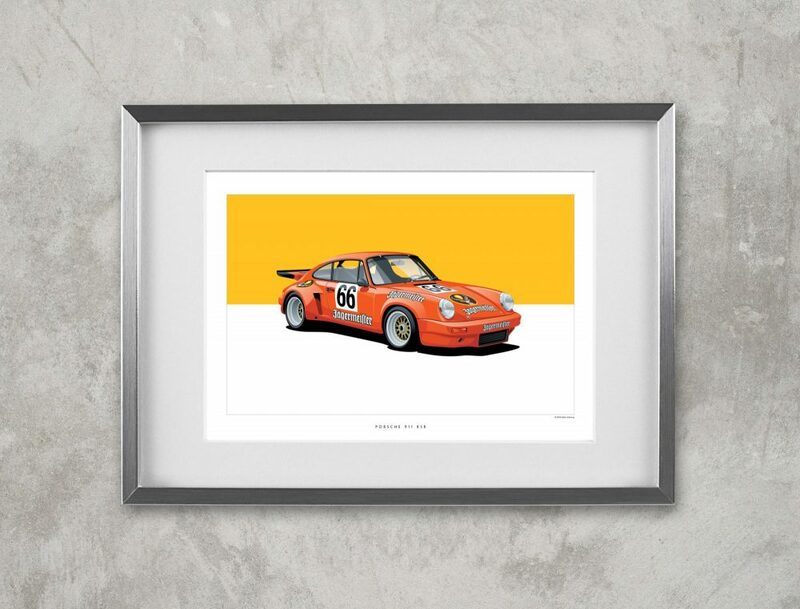 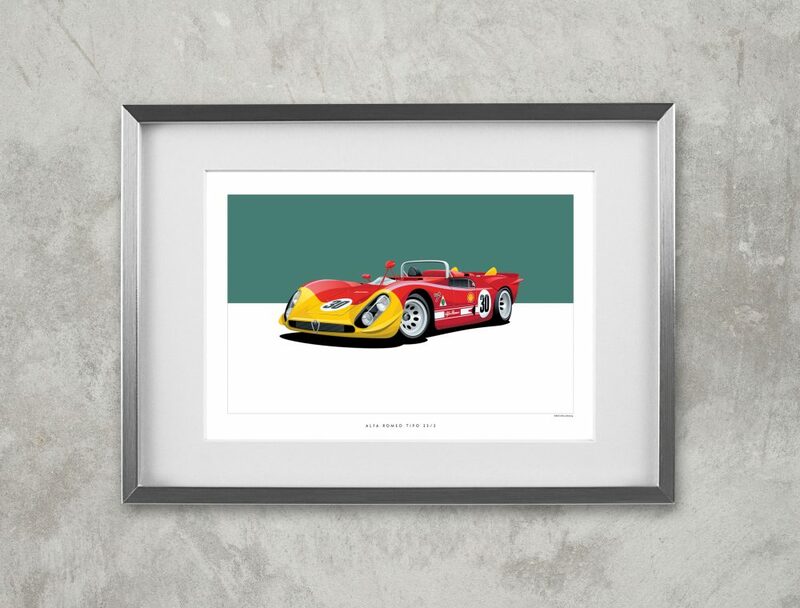 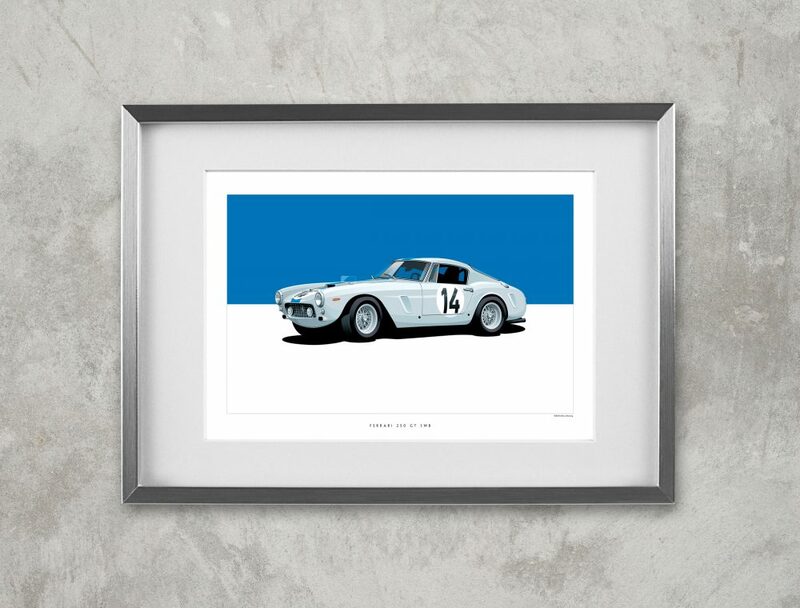 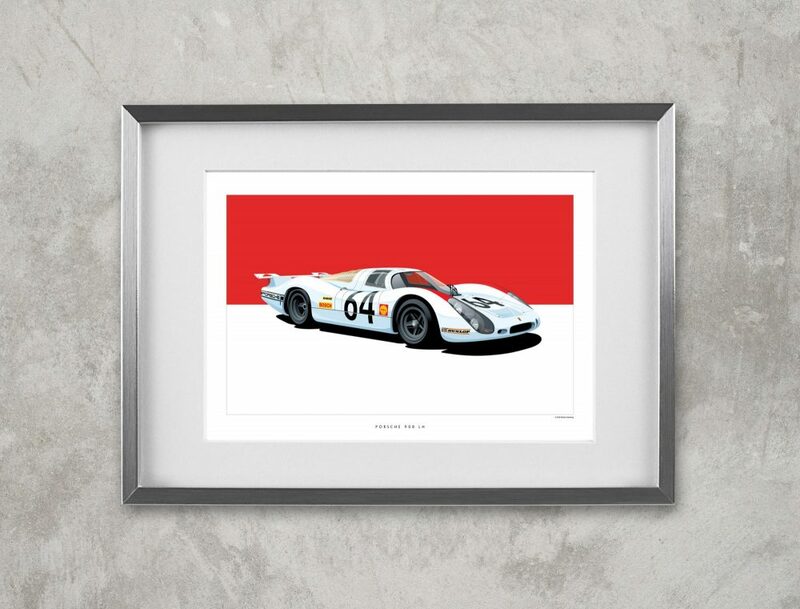 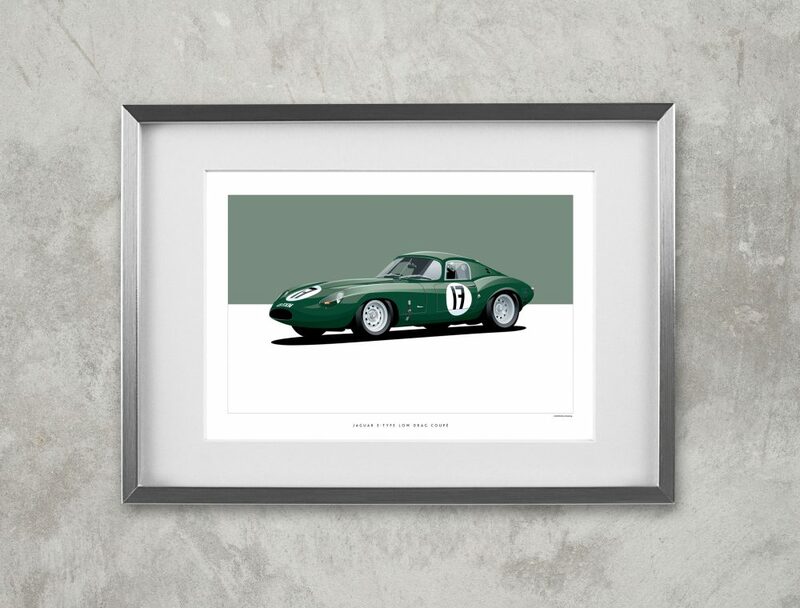 You can find our full selection of ScheningCreative’s Historic Racing Cars series in the Petrolicious Shop. 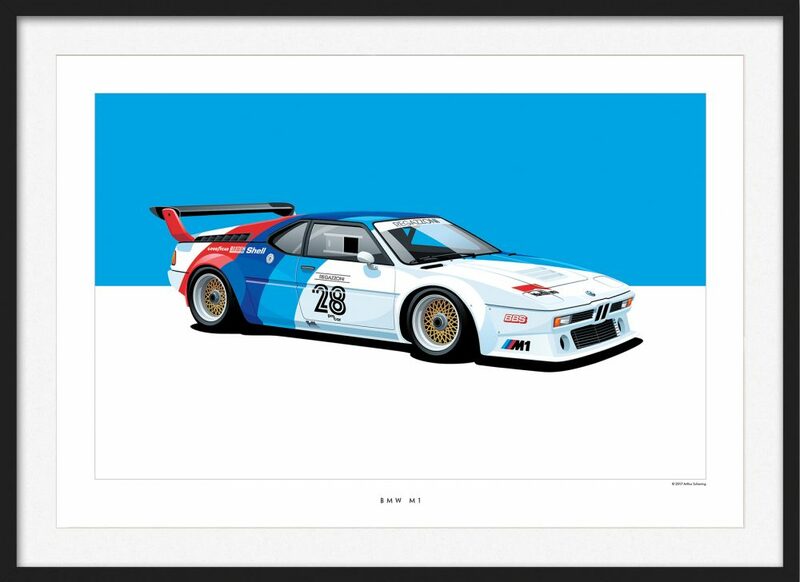 Please note: available for US customers only at this time. 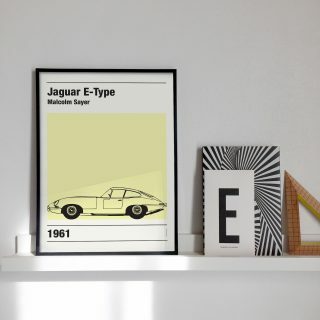 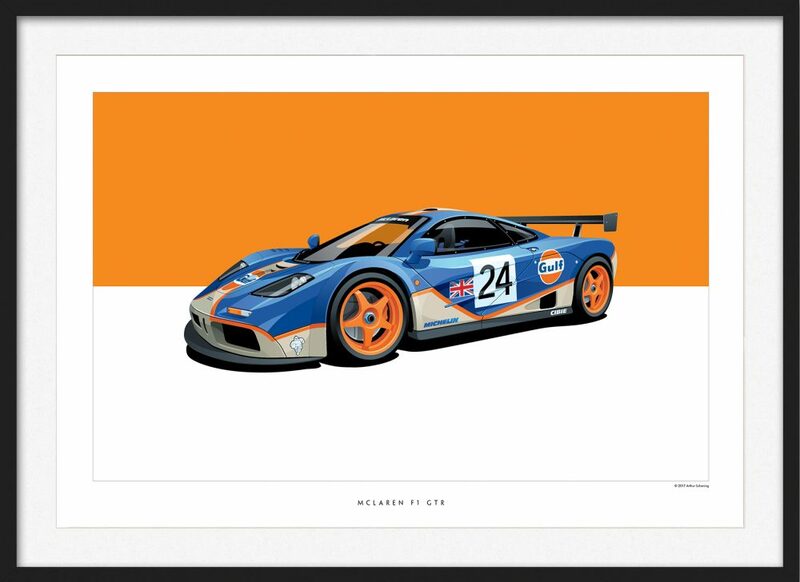 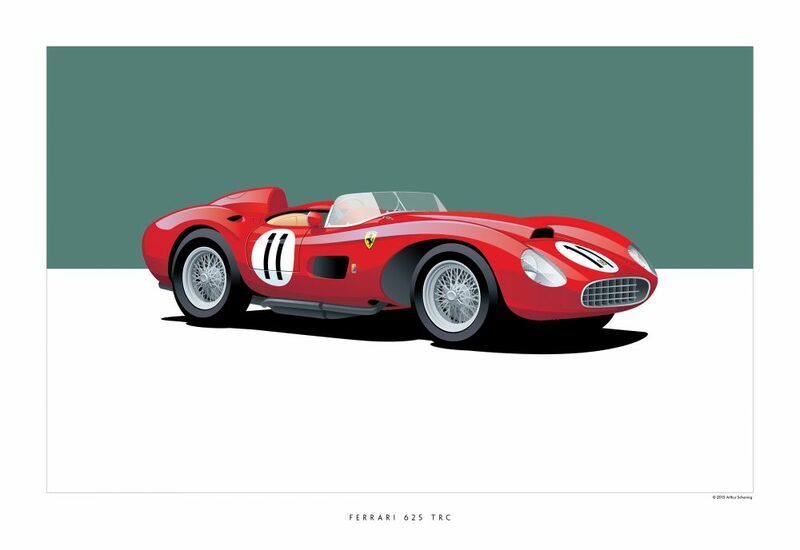 Automotive posters serve the obvious purpose of turning blank wall space into something prettier than planes of off-white paint, but like most art the real function of these pieces is to inspire our imaginations. 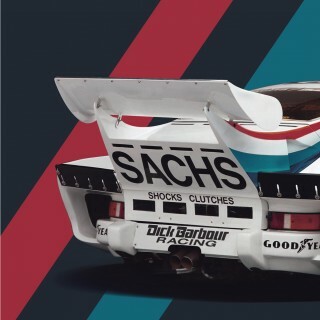 We’re not talking about cardboard swords or spaceships made out of couch cushions though, for while that’s all well and good for toddlers it’s more fun to imagine being behind the wheel of a McLaren F1 GTR or a 250 SWB while looking at a tasteful rendition of the car in question. 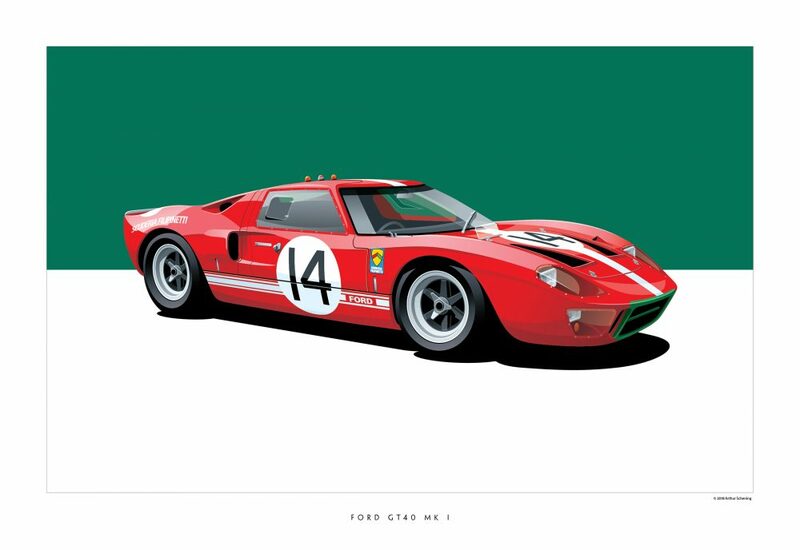 Owning or driving or even sitting in cars of that caliber is well and truly out of the question for the vast majority of enthusiasts, but we can still make a connection with the machines we lust after through magazines, films, video games, scale-models, and of course, artwork. 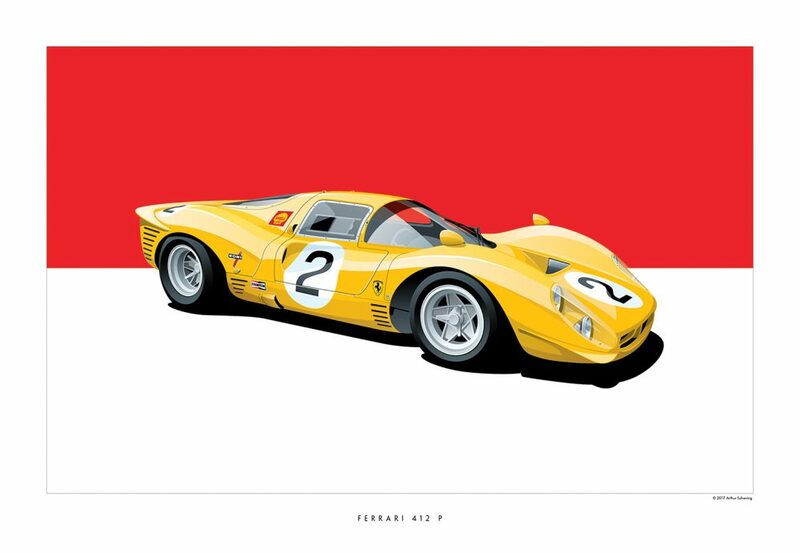 Arther Schening understands the power of the poster, but rather than a Countach with a bikini babe sprawled on the hood set to the backdrop of low-res lightning bolts, his work is more timeless. 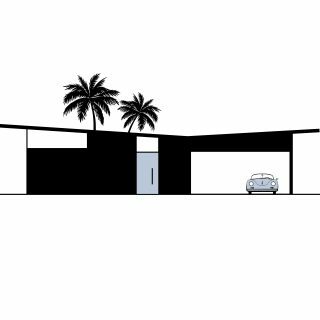 The format is simple but effective, and the consistency of his large and growing portfolio lends itself toward collecting. 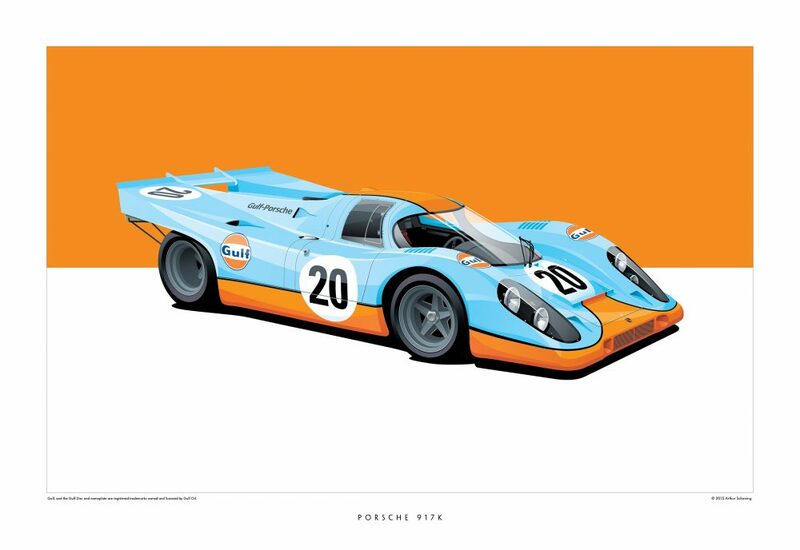 The style is borders on cartoon, and his subjects almost look cell-shaded, but rather than monkeying with the proportions or adding extravagances to the liveries he’s opted to keep things as accurate as possible. 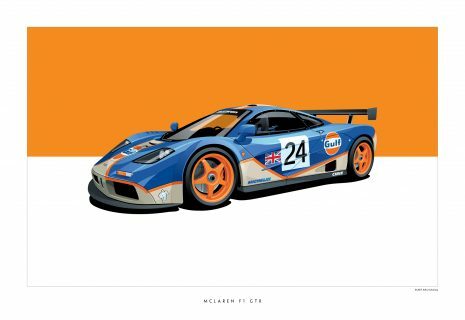 Not able to afford these historic race cars, he satisfies his wants through illustrations, and he’s been at it for about seven years at this point with no signs of slowing. 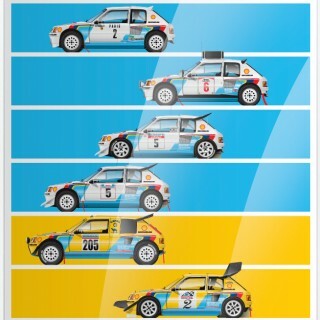 So if you don’t see your favorite in the list below, hang tight, it’s probably in the pipeline. 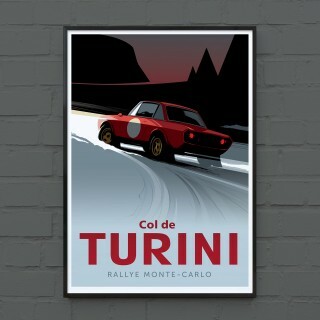 There’s plenty to choose from right now though, as you’ll see below. 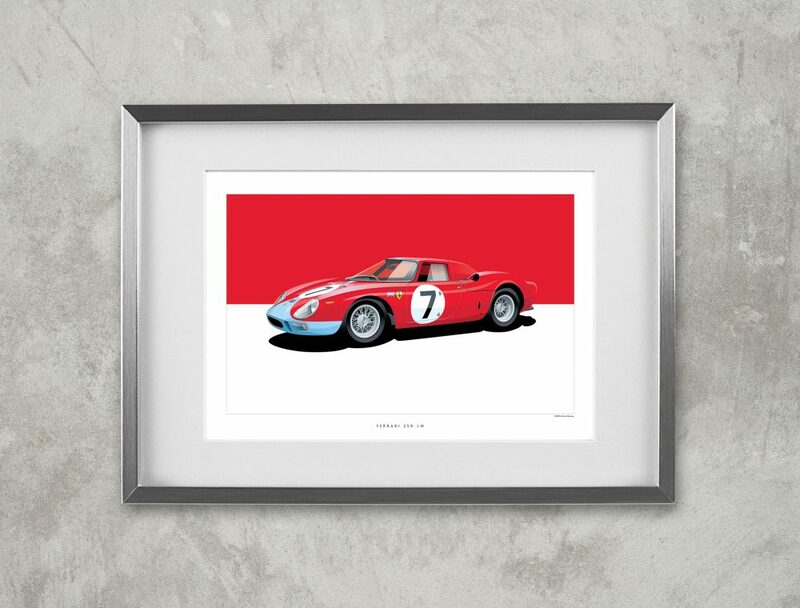 The Maranello Concessionaires 250 LM driven by Graham Hill and Joachim Bonnier won the 1964 12 Hours of Reims. 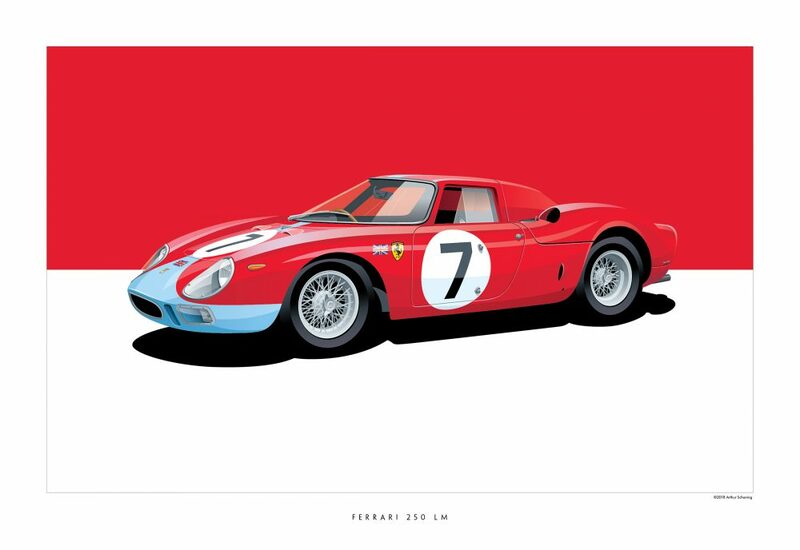 A North American Racing Team (NART) Ferrari 250 LM would win at Le Mans in 1965 – the last overall victory for Ferrari at Le Mans. 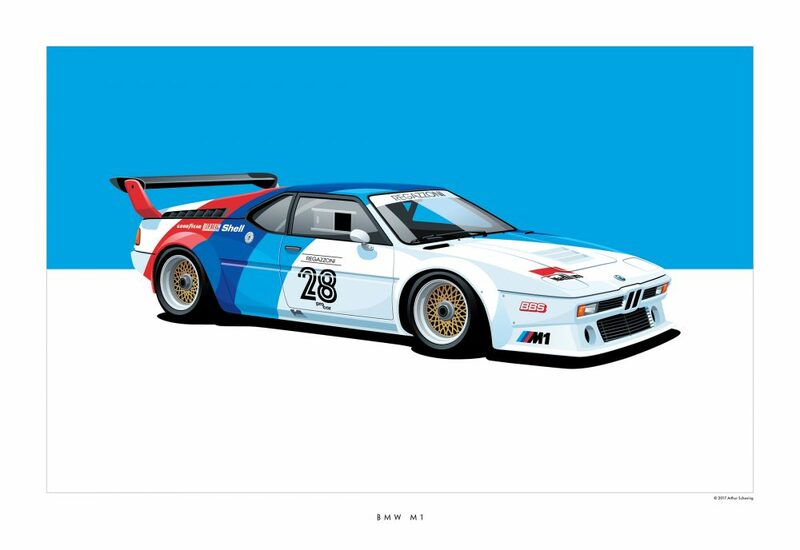 The Clay Regazzoni-driven BWM M1, in BMW Motorsport livery, as raced in the short-lived Procar Championship series (1979-1980). 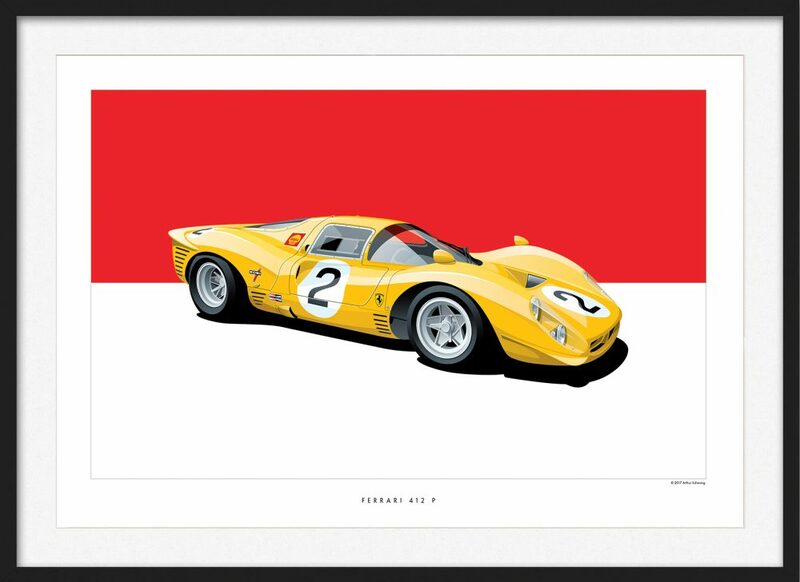 The David Piper-driven Ferrari 412 P, in Ecurie Francorchamps’s livery (the Belgian national racing team), as raced at the 1968 Preis der Nationen Hockenheim. 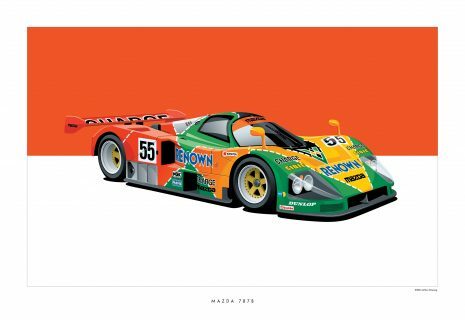 The Mazdaspeed 787B, driven by Volker Weidler, Johnny Herbert, and Bertrand Gachot, was the overall winner of the 1991 24 Hours of Le Mans. The Mazda 787B was the first, and so far the only Japanese manufacturer to win Le Mans. The extraordinarily successful Porsche 911 3.0 RSR, in the terrific Jägermeister livery. 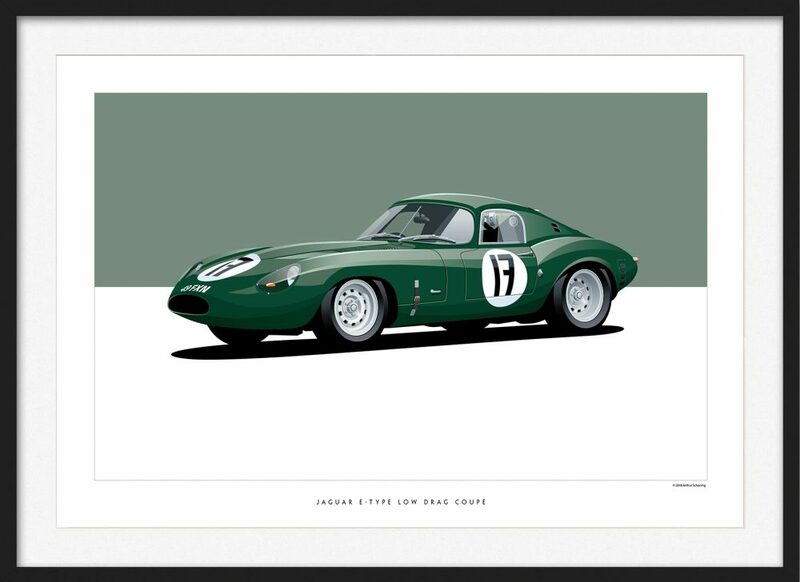 The number 17 E-Type as driven by privateer Peter Sargent and Peter Lumsden at the 1964 24 Hours of Le Mans – it failed to finish the race due to a gearbox issue. 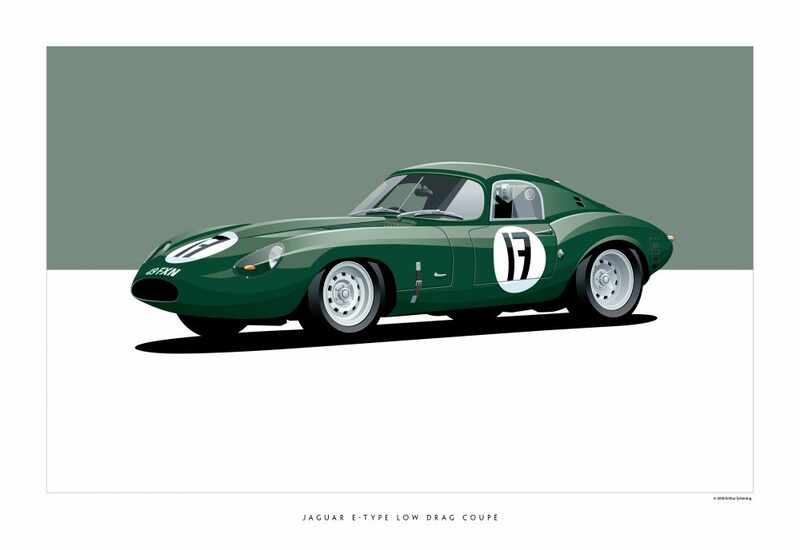 Jaguar built 12 lightweight E-Types for racing, two examples were modified with the distinctive low-drag bodywork. 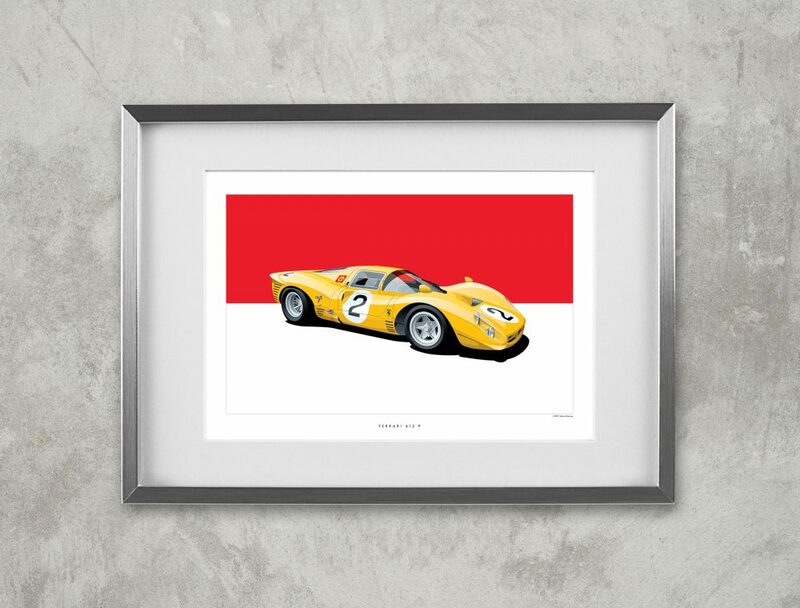 The Scuderia Filipinetti Ford GT40 Mk I – driven by Peter Sutcliffe and Dieter Spoerry – from the 1966 24 hours of Le Mans. It failed to finish the race due to an accident on lap 233. A trio of more powerful Mk II GT40s famously won the race that year. 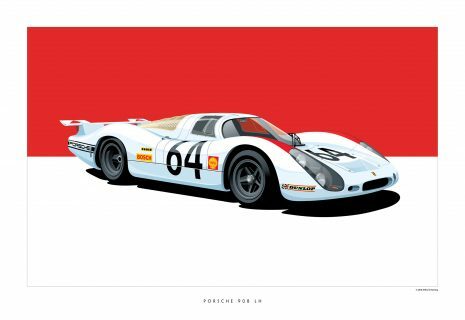 The number 64 Porsche 908, driven by Hans Herrmann and Gérard Larrousse, won the prototype class in the 1969 24 hours of Le Mans, and took second place overall, behind Jacky Ickx and the Gulf Ford GT40. 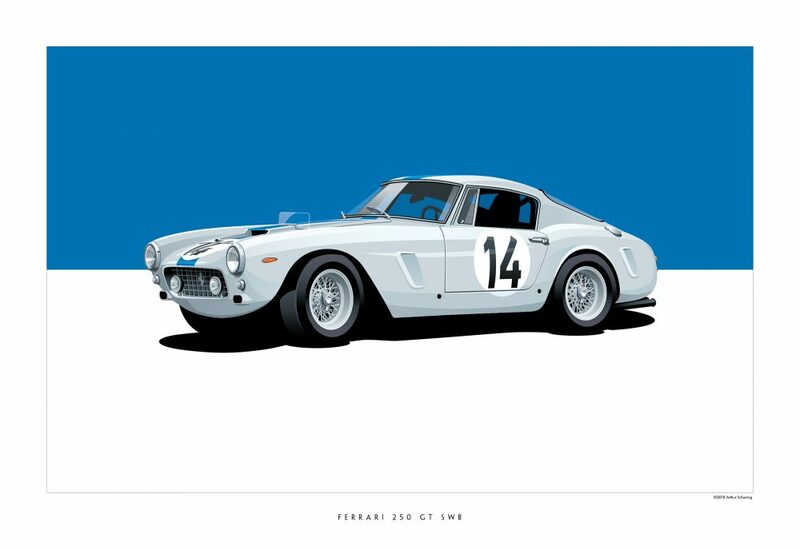 The 1961 24 hours of Le Mans GT class-winning Ferrari 250 GT SWB, was entered and driven by Belgian privateer, Pierre Noblet. 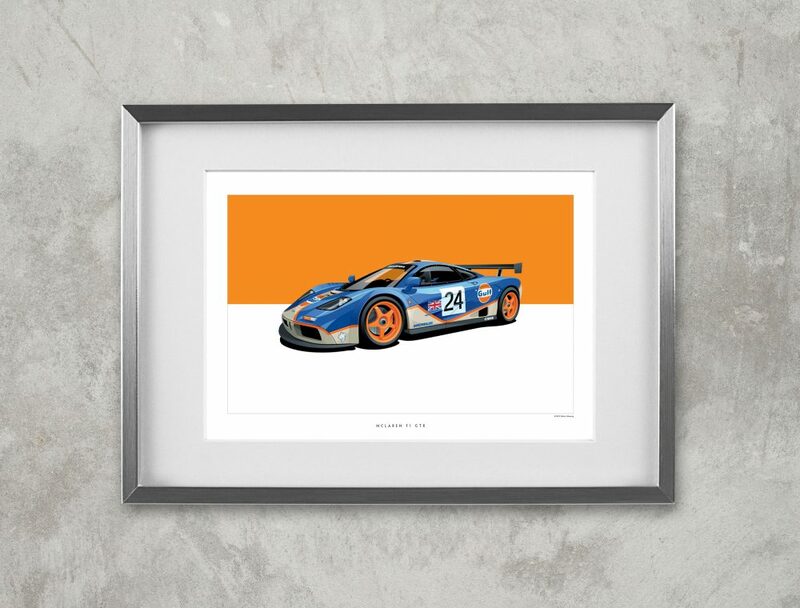 The GTC Gulf Racing McLaren F1 GTR driven by Mark Blundell, Ray Bellm, and Maurizio Sandro Sala, finished fourth overall in the 1995 24 hours of Le Mans. Although much less powerful, the Tipo 33/3 competed successfully against Porsche 917s and Ferrari 512s during the 1970 Sportscar Championship season. 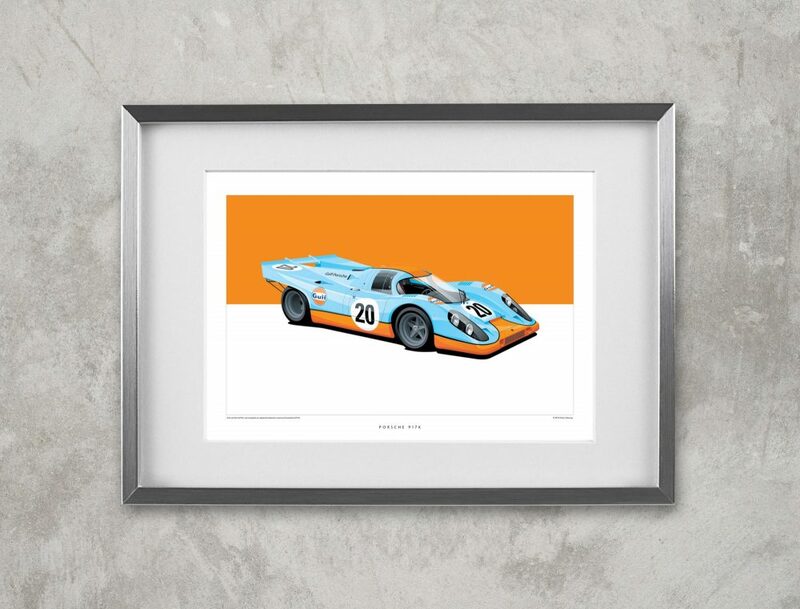 The iconic John Wyer Automotive Engineering Porsche 917K failed to finish the 1970 24 Hours of Le Mans. 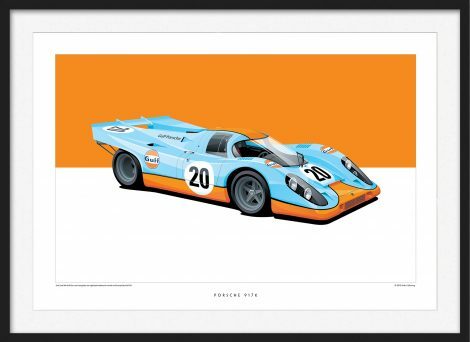 It is more famous as the car driven, and crashed, by Steve McQueen in the movie Le Mans. Autodelta built around 40 examples of the GTAm (Alleggerita Maggiorata – “lightened enlarged”), with 1750 and 2000cc engines. 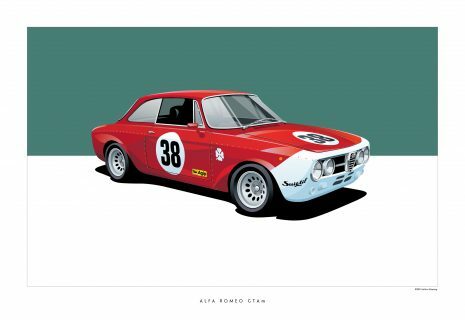 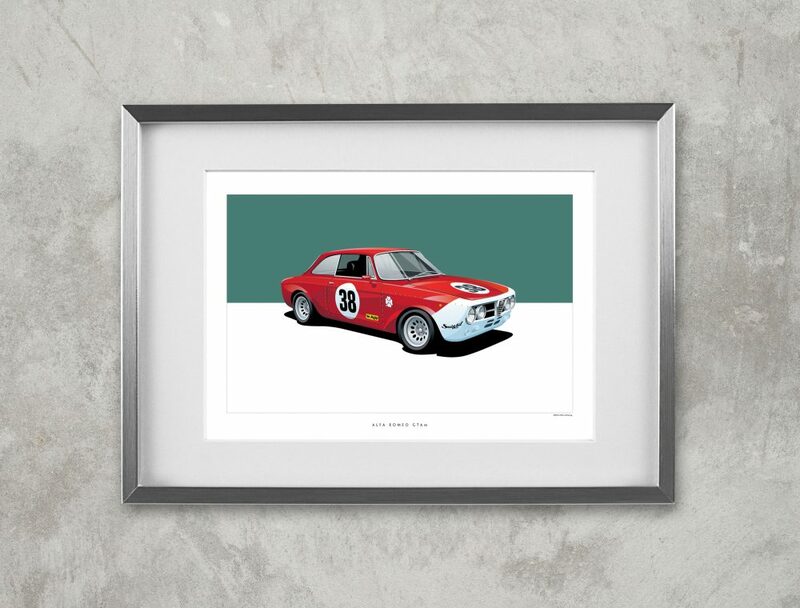 The GTAm won numerous races before competition grew stronger in 1971. 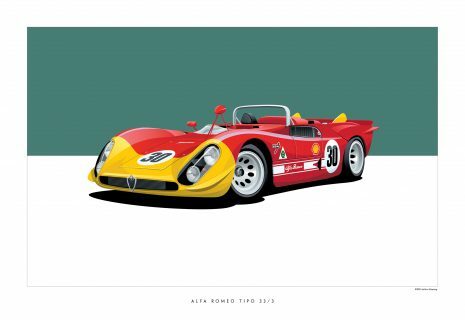 What beautiful illustrations, Arthur’s work is really good and nice !